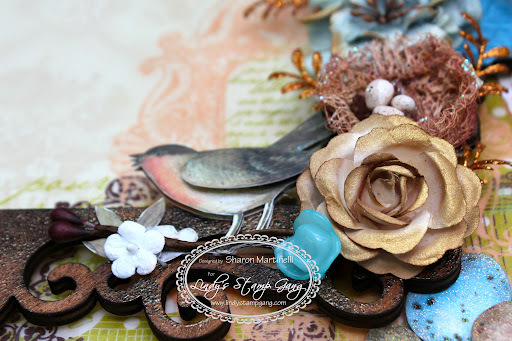 Hi everyone, it’s Sharon here, and I want to welcome you to another Fabulous Designer Friday! 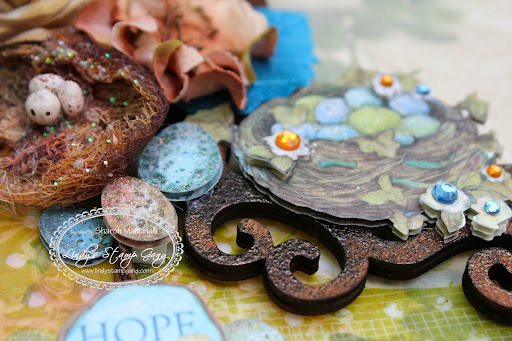 Today I wanted to share an altered canvas I created for a friend using Lindy’s Stamp Gang products. I had a really good time making this project, and love all the dimension it has. 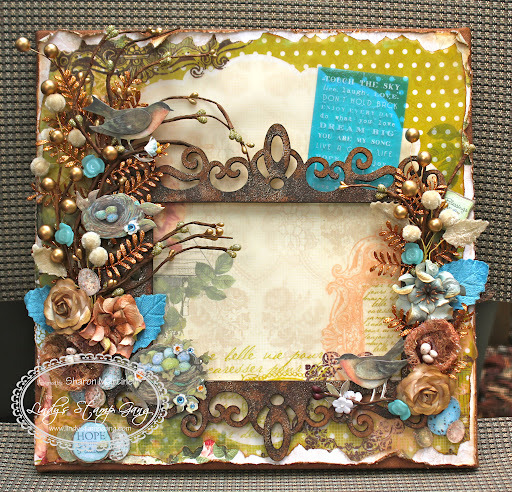 My favorite though, is the wood frame (I got it at my local Michael’s) which I altered, spraying some Incandescent Copper, and Van Dyke Sepia Moon Shadow Mists, and then adding some Lindy’s Stamp Gang Embossing Powders in the colors Midnight Copper and Byzantine Bronze. 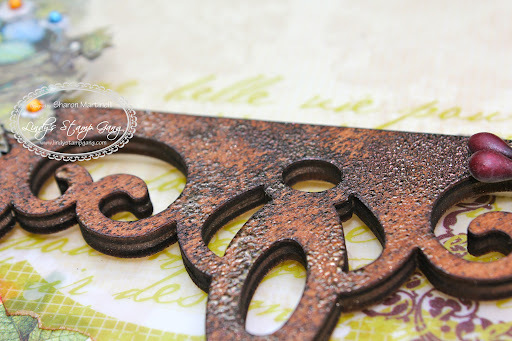 I LOVE the look it gave to the wood, and like I’ve said in the past, I LOVE sprinkling Lindy’s Stamp Gang Embossing Powders on my projects. 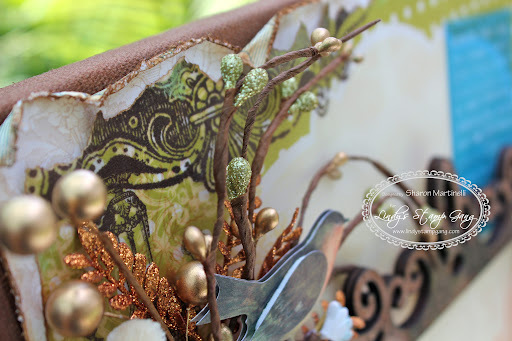 I also used my new favorite, the Glitz Spritz in the color Blazing Sun on all the paper flowers I used. 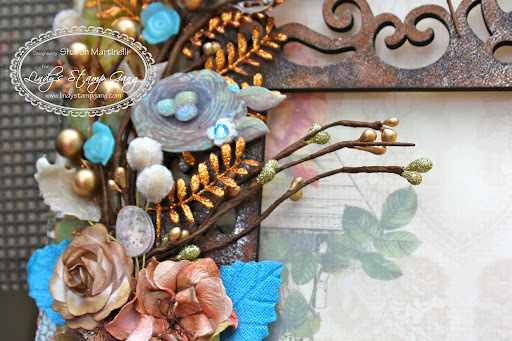 In the next picture you can see a close up of one of the flowers, and the wonderful gold shimmer on it. I spray it on everything now! 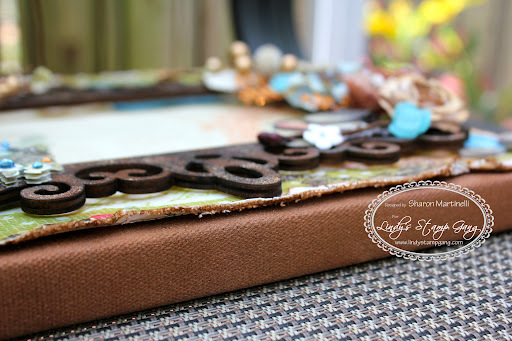 Loved working with this canvas, and you can find a video tutorial on how it came about on the Lindy’s Stamp Gang YouTube Channel later this weekend, so if you are interested, just head on over there later, and take a look. 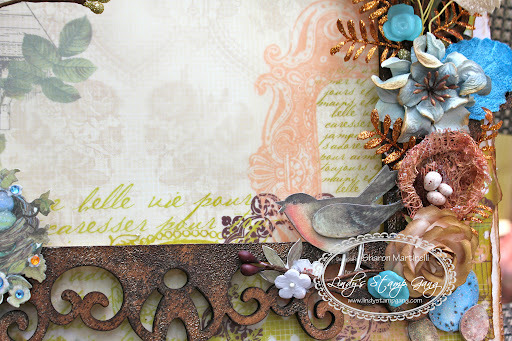 All the designers upload a great variety of videos using the LSG products for your viewing pleasure. 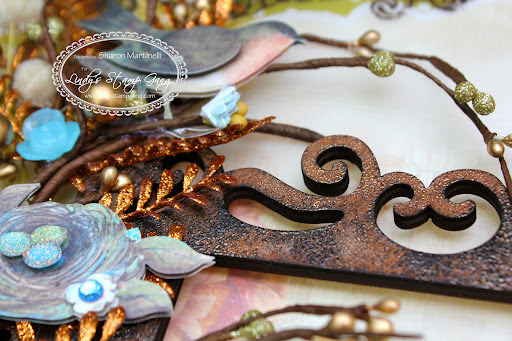 I hope you liked my project for today, and thanks so much for stopping by the blog. Until next time! Have a great weekend!